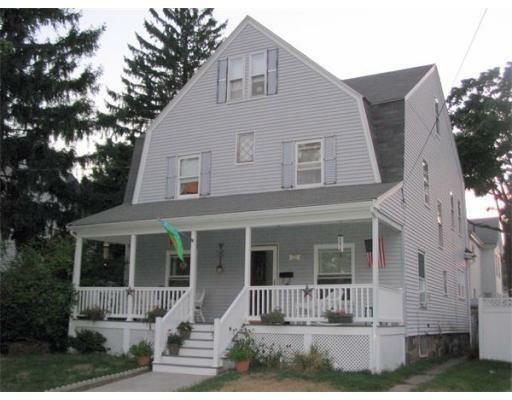 Spacious Colonial on tree-lined, side-street. Large farmers porch, with maintenance-free decking and railings welcomes you home. 1st floor office could be used as an additional bedroom. Updates include vinyl siding and insulated windows and Weil-McLain Gold boiler. Original detail include stained glass windows, Jack-and-Jill staircase, built-ins and maple floors. Conveniently located near bus to Medford Square and Malden Center. as a single with in-law. Portions Copyright © 2019 Bob Salvo. Portions Copyright © 2001-2019 iMaxWebSolutions.com.